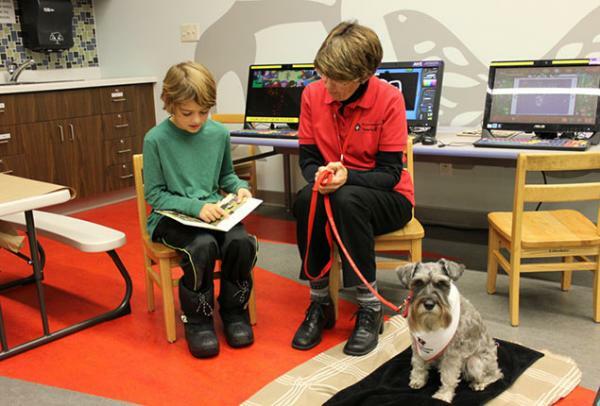 This program helps improve the reading skills of children by having them read to a Therapy Dog. In partnership with St. John Ambulance. In partnership with St. John Ambulance we are happy to deliver Paws for Stories. This program helps improve the reading skills of children by having them read to a Therapy Dog. There is evidence that children in this program quickly improve their reading skills and comprehension. 30 min sessions run from 6:00 - 6:30 p.m. and 6:30-7:00 p.m. You may register for up to two separate 30 min sessions.